Remove and with a cooking brush or spoon, generously add half of the sauce to the wings. Return wings to the air fryer, cook for an additional 5 - 10 minutes or until chicken is cooked. To add heat, sprinkle some chili pepper flakes to the sauce. 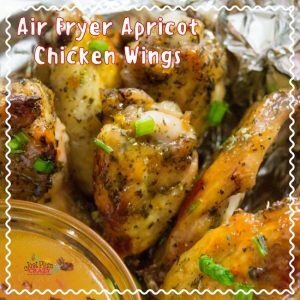 If you do not have an Air Fryer, these can also be made in the oven.